IMT Image Converter is a fast and powerful mac image converter and mac photo resizer built to shrink photo size and convert image file formats. 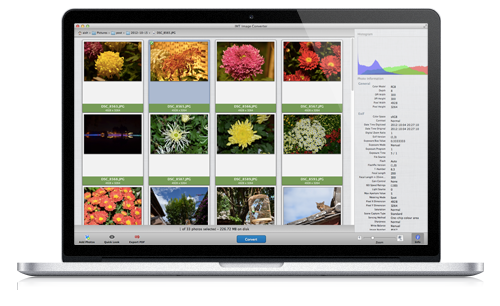 Easy, fast, powerful image converter and photo resizer for Mac. IMT Image Converter is an easy and efficient mac image converter and mac photo resizer for creating smaller photo images and photo thumbnails. If you would like to create smaller photo images from camera photos to make it easy to share with friends. 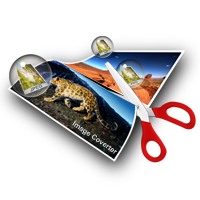 With IMT Image Converter, such a scutwork will be done automatically with simple clicks. Sometimes, you need to decrease photo image size to share with others by posting blog or transferring to friends. Although, the Preview.app can do the resizing and conversion work, but if you have more than one photo images to be shrinked, it will be a tough job with it. IMT Image Converter is the exact app to resize photo in batch, and convert image formats in batches. Add both text and image watermarks on images to protect copyright. And export JPG to PDF files. really easy with few clicks. image formats as Apple does on Mac. file location or sub folders.